Helping Beef Producers Succeed With Artificial Insemination. 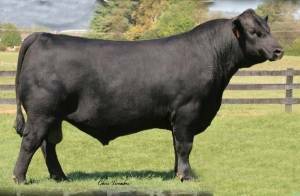 The Number 1 $Beef bull in the Angus population when you sort for CED and $Weaning EPDs. 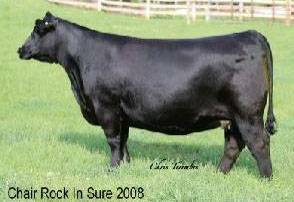 Crossfire is the most unique son of GAR Prophet to surface in the Angus breed and is a dirct son of the stunning and superior producing 2008 Donor who is the only full sister to GAR Sure Fire. 2008 is a front pasture kind. She can do it all, incredible phenotype, exceptional EPD profile and in terms of convenience traits she stays fat on air, milk heavily and has a bomb proof disposition. When you study Crossfire's EPD profile, he's the commercial and purebred cattle producers dream heifer bull prospect. Crossfire is big footed, big boned, colassal bodied, ideal in his muscle shape, and a cool customer from the side view.